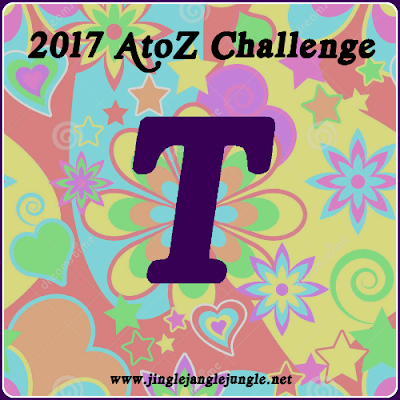 Today the #AtoZChallenge brings us to the letter T. These three songs were the top ‘T’ songs according to the Billboard Hot 100 Year-End lists. I’m also participating in the Monday’s Music Moves Me blog hop hosted by X-Mas Dolly, and co-hosted by Callie of JAmerican Spice, Stacy of Stacy Uncorked and Cathy from Curious as a Cathy. Today’s theme for the Monday’s Music Moves Me is ‘AtoZChallenge T or songs about Travel. I had already written my post before joining up with the #4M group, so for this time, will use my 'T' songs. Be sure to stop by the hosts to find a list of everyone participating. "Tie a Yellow Ribbon Round the Ole Oak Tree" is a song by Dawn featuring Tony Orlando. It was ranked as number 1 on the Billboard Hot 100 Year-End charts in 1973. It reached number one on both the US and UK charts for four weeks in April 1973, number one on the Australian charts for seven weeks from May to July 1973 and number one on the New Zealand charts for ten weeks from June to August 1973. It was the top-selling single in 1973 in both the US and UK. In 2008, Billboard ranked the song as the 37th biggest song of all time in its issue celebrating the 50th anniversary of the Hot 100. The song is told from the point of view of someone who has "done his time" but is uncertain if he will be welcomed home. He writes to his love, asking her to tie a yellow ribbon around the "ole oak tree" in front of the house (which the bus will pass by) if she wants him to return to her life; if he does not see such a ribbon, he will remain on the bus (taking that to mean he is unwelcome) and understand her reasons ("put the blame on me"). He asks the bus driver to check, fearful of not seeing anything. To his amazement, the entire bus cheers the response – there are 100 yellow ribbons around the tree, a sign he is very much welcome. "TSOP" is a 1974 hit recording by MFSB featuring vocals by The Three Degrees. A classic example of the Philadelphia soul genre, it was written by Kenneth Gamble and Leon Huff as the theme for the American musical television program Soul Train, which specialized in African American musical performers. The single was released on the Philadelphia International label. It was the first television theme song to reach number one on the Billboard Hot 100, and it is arguably the first disco song to reach that position. "Tonight's the Night" is a song by Rod Stewart, recorded at Muscle Shoals Sound Studio in Sheffield, Alabama for his 1976 album A Night on the Town. The song became his second US chart topper on the Billboard Hot 100, peaked at No. 5 in the UK, No. 3 in Australia and charted well in other parts of the world as well. It was the number 1 song on Billboard's 1977 year-end chart. It became the best-selling single of 1977 in the United States. According to Dan Peek of America, Stewart's inspiration for "Tonight's the Night" was America's Top 30 hit "Today's the Day": Peek recalls that one evening when he and his guest Rod Stewart were playing together in Peek's home recording studio: "I played 'Today's the Day', the song I had been working on. Rod said that he liked it and that it gave him an idea for a song. Of course after his recording of 'Tonight's the Night' came out I laughed when I remembered what he'd said. I'm sure I probably smacked my forehead and said: 'Why didn't I think of that?'" Tomorrow brings us the letter 'U'. Tony Orlando and Dawn! There's a blast from the past. ☺ Coincidentally, during the time of their popularity, my husband bore a striking resemblance to the man. I remember reading that TSOP was considered to be the first successful Disco song. It sure started a trend. Hubby and I both love Rod Stewart and have seen him live at least 20 times. It used to be a yearly tradition. He's the ultimate showman and never disappoints. How awesome for you to have a man that looked like Tony Orlando back in the day. I didn't recognize the TSOP song from the title, but the second it started playing - I knew it. I'd love to see Rod Stewart in concert. I can only imagine it being a great show. Absolutely love the song, Tie a Yellow Ribbon. I'm playing it through again as I check blogs. Thank you! T is for Tempting Titles as you Build a Better Blog. #AtoZchallenge. I'm so glad that you are enjoying the songs. Play the entire playlist if you'd like. I do that sometimes just for background music while I work at my desk. There's been a few songs in here that I thought were in the 80's or vice versa. Especially if they were still getting a lot of airplay in the early 80's. The challenge is almost over - I can see the light at the end of the tunnel. Nice variety. Fun picks. Thanks for sharing. 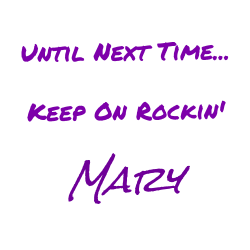 Appreciate you stopping by to give them a listen. Love Alone Again! My mom says when she was a young girl her mom wouldn't let her listen to it. I think every generation is like that. We all think the newer generation's music is garbage and not worth our souls. I know I struggle with this latest generation's version of 'music'. My wife and I were just talking about Tony Orlando the other day. The song "Knock 3 Times" was playing in a restaurant where we were eating and she asked me about what the lyrics meant. Unusual because she rarely listens to lyrics. Must have been something about the song that she liked. She had never heard of Tony Orlando before. I've always liked 'Knock 3 Times'. You rarely hear it anymore. I think the chorus is catchy, and almost feels interactive with the audience. Tie A Yellow Ribbon Round The Ole Oak Tree:Loved the story behind the song and the song itself. Beautiful sound. Thank you Mary. I always thought the song was about a guy coming home from the Vietnam War. I suppose that could also be considered 'doing his time'. Another song that I learned more info about while doing this challenge. All three of these songs got played to death on the radio. Good thing I liked all of them. That 'TSOP' has a groove not unlike 'PICK UP THE PIECES'. I just made a remarkable discovery: If you play 'TSOP' and 'TONIGHT'S THE NIGHT' simultaneously it ruins BOTH songs. Reese's Peanut Butter Cups it is NOT! LOL Only you would think to try to play them all at once. Wassamatta? Are you late for lunch? As always, you managed to crack me up! MFSB stood for "Mother, Father, Sister, Brother," by the way, and "TSOP" was short for "The Sound of Philadelphia." It was on the air for a couple of years (as "Soul Train"'s theme) before it hit the charts, a sort of pre-disco tune. "Soul Train" got its start as a local TV show in Chicago in 1970 and it went national the next year. When I was in high school, it seemed like it was on most of Saturday afternoon. I had read that, but for some reason forgot to include it in my notes. Thanks for that bit of trivia! These are some good old songs. I especially like TSOP. I hope you'll enjoy tomorrow's selections as well. LOL Thanks for letting me know, Marie! It's always so much fun to visit your site! I can't tell you how long I haven't heard a couple of these songs. A friend of mine was a song writer in Philadelphia for decades. He has some great stories to tell about working with legends. Rod Stewart's "Tonight's the Night" was the first video I ever saw played....the girl in the video was his current girlfriend but I forget who she was.. According to Wikipedia, the girlfriend in question was Britt Eklund. She did the French speaking part of the song as well. I learned something new tonight. Thanks for that! Oh I always enjoy Rod Stewart so much!